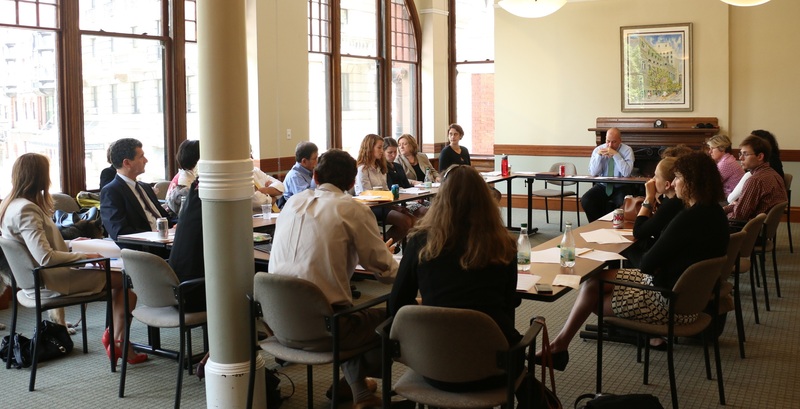 On Wednesday, the BBA’s College & University Law Section held its annual legislative update brown bag lunch program featuring speaker Rob McCarron, Vice President for Government Relations and General Counsel of the Association of Independent Colleges & Universities in Massachusetts (AICUM). 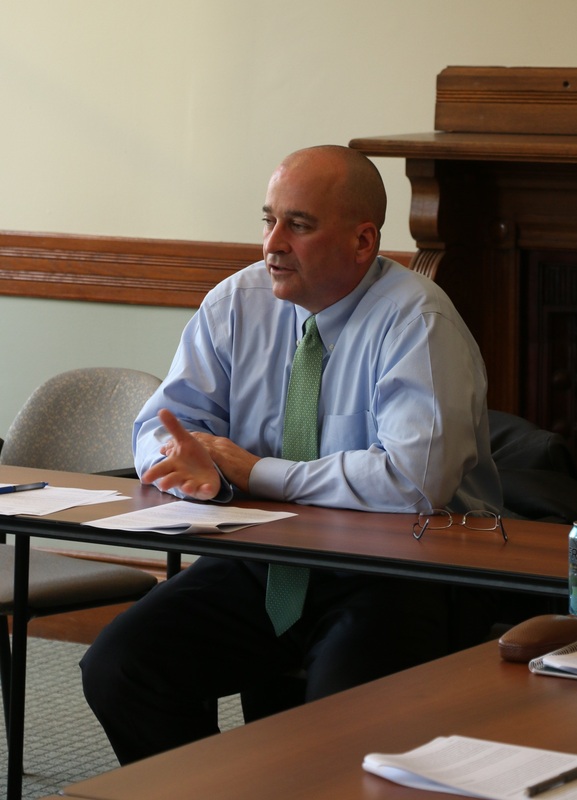 You may recall that McCarron shared his legislative wisdom and experience on Issue Spot before, speaking about his time as the former Director of Legal Affairs for the Massachusetts House Committee on Ways & Means. This time, he shared his expertise on current legislation that could impact the states’ many higher education institutions. The program was well attended and felt more like a vibrant discussion than lecture as the many in-house counsels for major Boston education institutions seated around the table actively participated with McCarron, sharing their concerns, anecdotes, and questions with the group to the benefit of all in attendance. When last we explored legislative higher education issues a number of months ago, the issue of race conscious admissions was at the fore. Now the focus has shifted, largely to address student loan debt and college disciplinary procedures, especially those related to sexual assault cases. Student Loan Debt: The Massachusetts Joint Committee on Higher Education’s Subcommittee on Student Loans and Debt recently released its report with a number of interesting proposals to make higher education more affordable. McCarron highlighted a suggestion to expand and reform state aid by increasing MassGrant scholarship funds, a grant assistance program funded by the legislature that provides need-based financial assistance to undergrads who reside in Massachusetts. He also noted a proposal to create tax incentives for families to use the Commonwealth’s 529 College Savings Plan, a direct-sold college savings plan managed by Fidelity Investments using Fidelity mutual funds. McCarron explained that 30 other states currently have tax incentives for similar plans and is looking forward to working with incoming Senate President Stanley Rosenberg as well as other members of the Legislature on this measure. College Disciplinary Procedures: Local, state, and national leaders have all expressed their interest in tackling the disciplinary problems colleges face, especially those related to sexual assault. At the federal level, Senator Claire McCaskill is taking the lead on creating a “campus safety metric” to measure how well institutions are handling sexual assaults on campus. Locally, the City of Boston expressed interest in working to solve sexual assault problems at Boston-area schools. State lawmakers have taken a different track, looking at the issue from the perspective of students accused of wrongdoing, most recently with a student’s rights bill, H3942. While this bill is currently under study, and thus unlikely to pass, McCarron explained that there are still a number of legislators concerned that students undergoing disciplinary proceedings at Massachusetts higher education institutions are not fully aware that their statements at institutional hearings can also be used against them in court if the victim presses charges. With these three levels of government looking into the issue, McCarron hopes that the state and local governments will be patient and follow the federal government’s lead before passing different layers of regulations that could be confusing or even contradictory, and thus have limited effectiveness at solving the problem. Other issues addressed at the program included the impact of the minimum wage increase on higher education institutions, research and innovation funding, workplace bullying bills, a proposal on joining a multistate regulatory program governing distance education programs, and many more. The talk was comprehensive and informative. To read more, see the program handout, which includes all the significant issues McCarron covered.